HOC is proud to partner with Reach for the Rainbow, a camp inclusion program for children & youth with disabilities. HOC is excited to officially announce its partnership with Reach for the Rainbow. HOC and Reach have joined forces to provide successful inclusive programming opportunities at camp. Reach is an amazing non-profit organization that strives to provide integrated recreation, respite and outreach opportunities in partnership with many summer camps throughout Ontario. 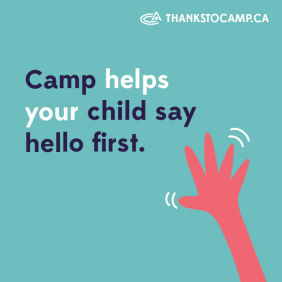 Our partnership with Reach allows parents of children and youth with disabilities to register for HOC's camp programs with ease. Reach makes the transition into our camp programming smooth and integrated down to every detail of the camper's daily needs. Visit Reach for the Rainbow's webpage to learn more about the services they can provide for your camper. Check out this video of HOC and Reach in action from the summer of 2017.